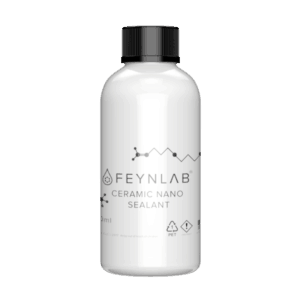 FEYNLAB® TOPCOAT is a revolution in hydrophobic coating protection for vehicle surfaces. Engineered with the sole obsession of offering the best hydrophobic and self-cleaning properties on the market. TOPCOAT is far and away the slickest and most hydrophobic coating in the FEYNLAB® family. Its sole purpose is to add great water sheeting and self cleaning properties to any of our ceramic coatings. In addition, the super low free surface energy of TOPCOAT causes the surface to feel silky smooth to the touch. TOPCOAT keeps exterior vehicle surfaces cleaner for longer due to its superior hydrophobic and self-cleaning properties. This means vehicles will remain cleaner over time and, when washing, water and contamination will release from the surface with great ease. Unopened – 1 year. Opened – Use within 1-2 months. ALWAYS keep cap on bottle when not in use. Once the car is prepared, it is recommended off and protecting all unapproved surfaces. By performing this step, you minimize the risk of etching by the solvents in FEYNLAB® TOPCOAT on unapproved surfaces such as rubber lining around windows and doors. Avoid these surfaces with TOPCOAT and wipe off immediately if any contact occurs. Shake TOPCOAT vigorously for 2 min before use. Open the bottle and allow the coating 1min of air exposure. 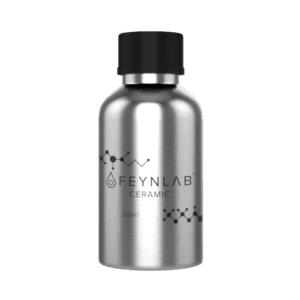 If applying over another FEYNLAB® coating, wait 2 hours for the base coating to set up. Then Apply in the same application pattern as the base coating. Apply enough TOPCOAT to a microfiber applicator to fully cover a single panel only, such as a door or half a hood. Immediately wipe off TOPCOAT following same pattern of application, using two clean microfiber towels. Towel A (left hand) will remove the majority of coating residue. Towel B (right hand) will remove any remaining residue, revealing a crystal clear surface. Carefully inspect all finished panels for any leftover coating residue (high spots) during the final wipe. Commonly edges, emblems, and other tight areas may contain some remaining residue. High spots are much easier to remove if caught within a 20-40 min window after the final wipe, than later when the coating has set and curing has started. Bake each panel with an IR lamp to reach a surface temperature of 60°C (140°F) for 15min at a distance of ~ 30-36″ from the panel. If applying over another coating. Install base coating layer first. Wait 2 hours then install TOPCOAT in the same application pattern as the base coating. After TOPCOAT is applied to all surfaces, immediately bake each panel with an IR lamp to reach a surface temperature of 60°C (140°F) for 15min at a distance of ~ 30-36″ from the panel. 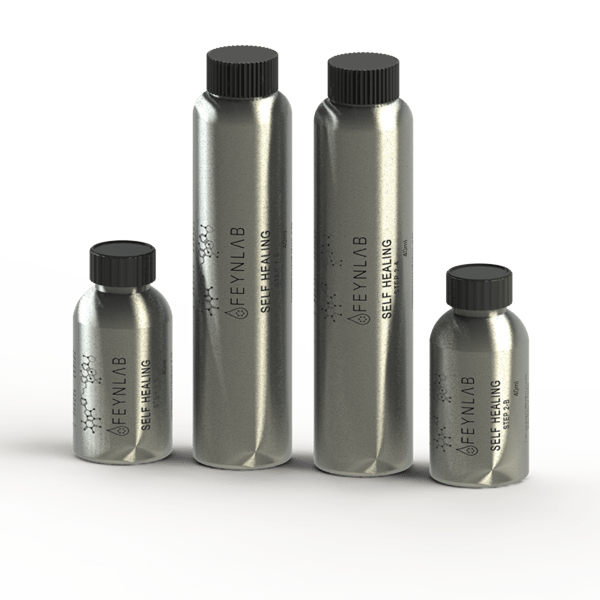 An excellent top coat for your ceramic coating! Based on some research I decided to test out this top coat over Gyeon Mohs. It produces a wet looking gloss and has great hydrophobic properties. 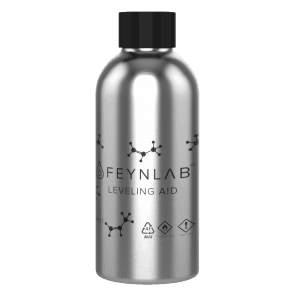 For the price Feynlab has produced an excellent product, and I will certainly be trying the rest of their product line in the future.